Having already made the history books by becoming the world’s first interactive soft drink, JuiceWars is the second exciting instalment between JuiceBurst and ‘media discovery browser’ Blippar. 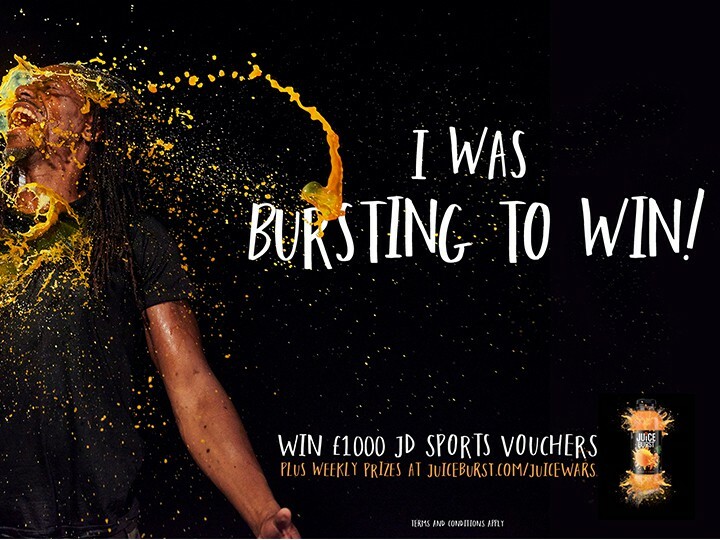 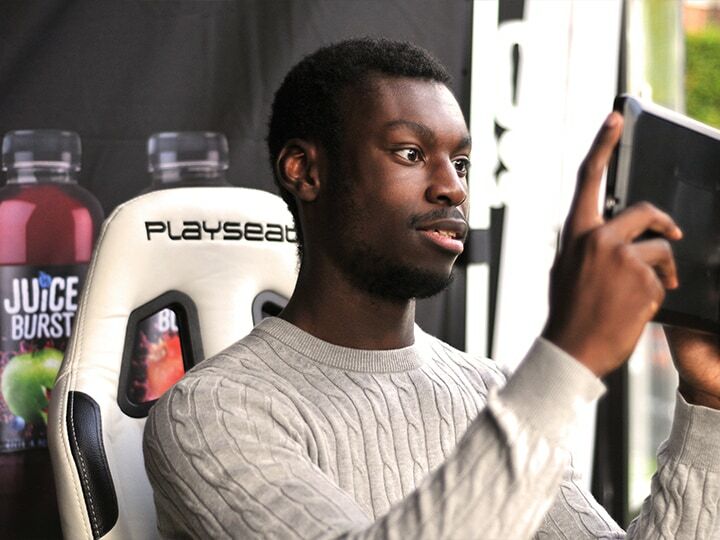 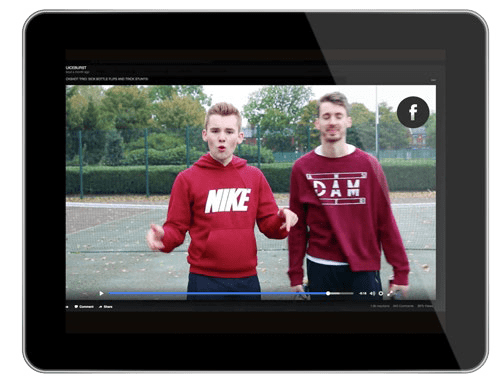 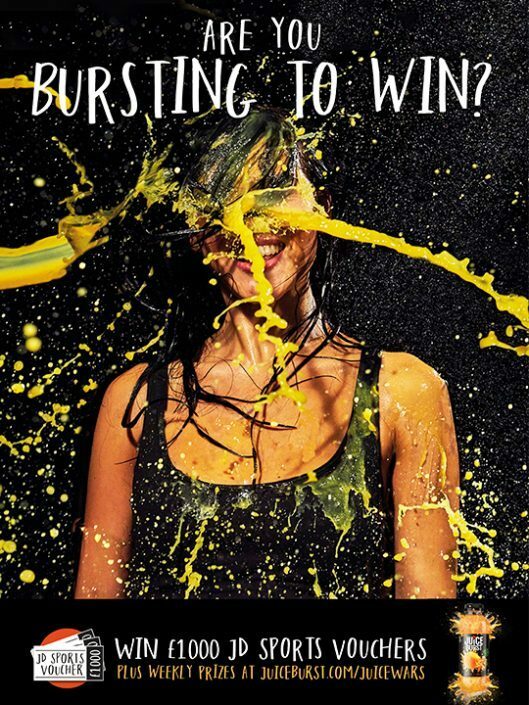 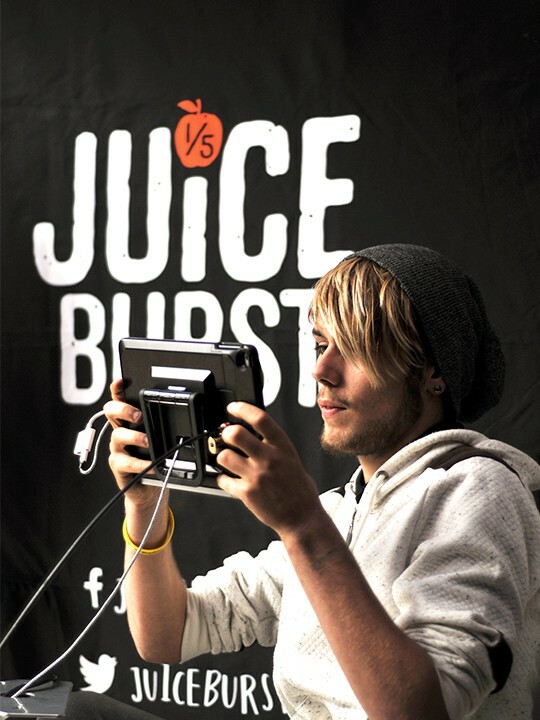 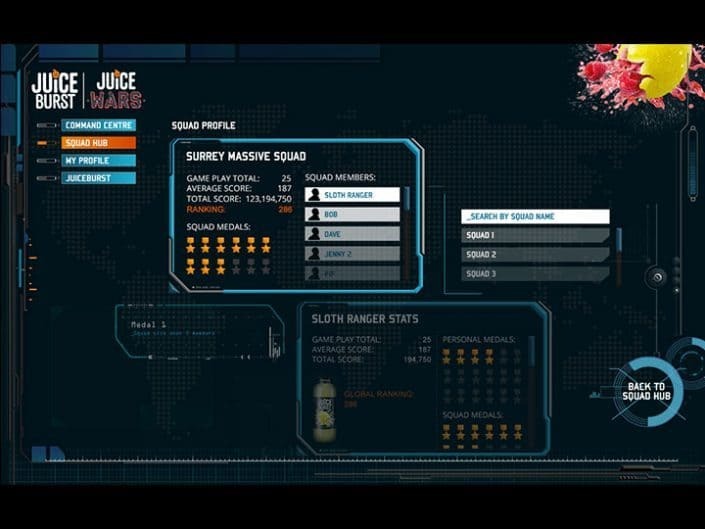 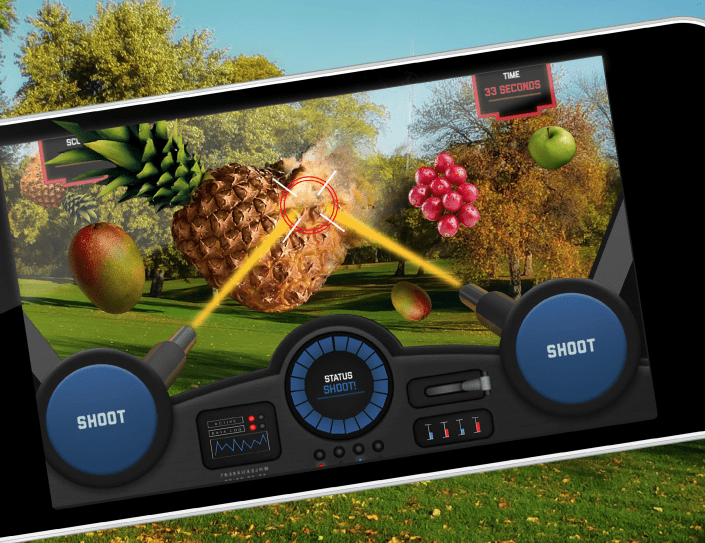 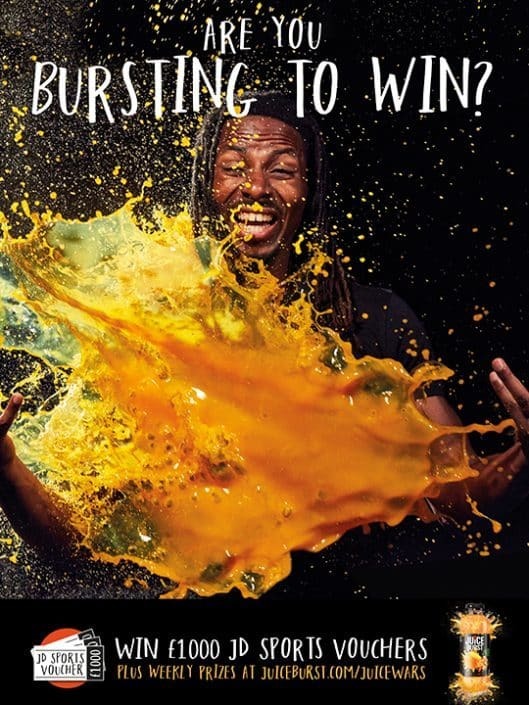 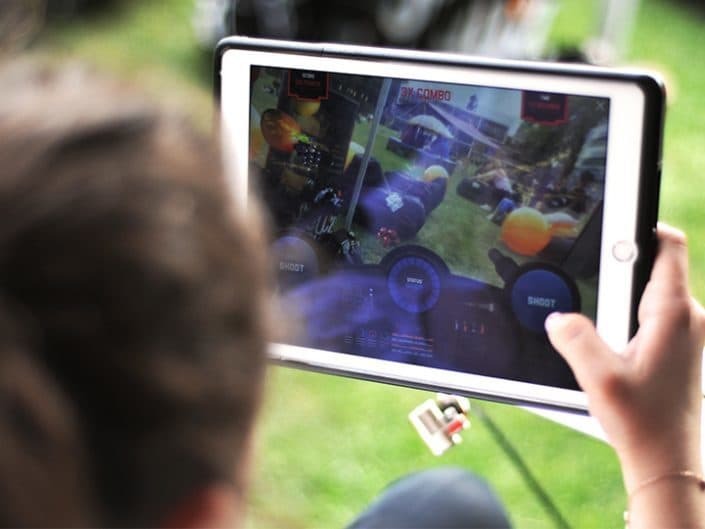 Throughout September to November 2016, we invited 16-24 year olds across Britain to play JuiceWars; an augmented reality game encouraging players to ‘burst the most fruit’ to win prizes. 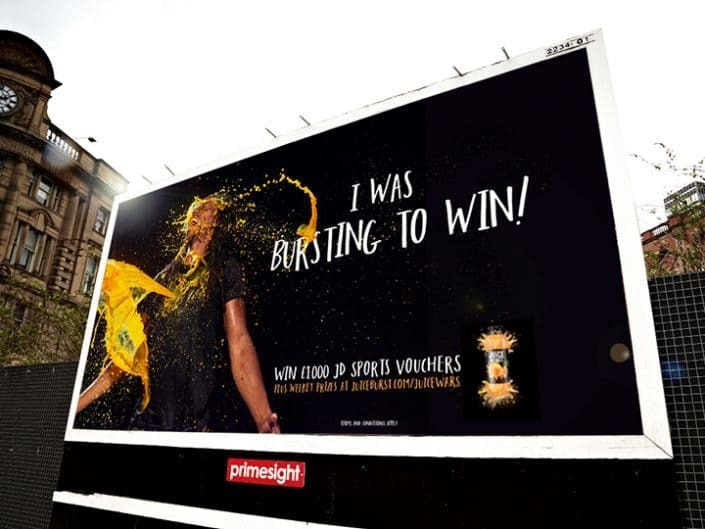 To enter all they had to do was purchase a JuiceBurst from the range, download Blippar and ‘Blip’ the bottle to be part of this experience. 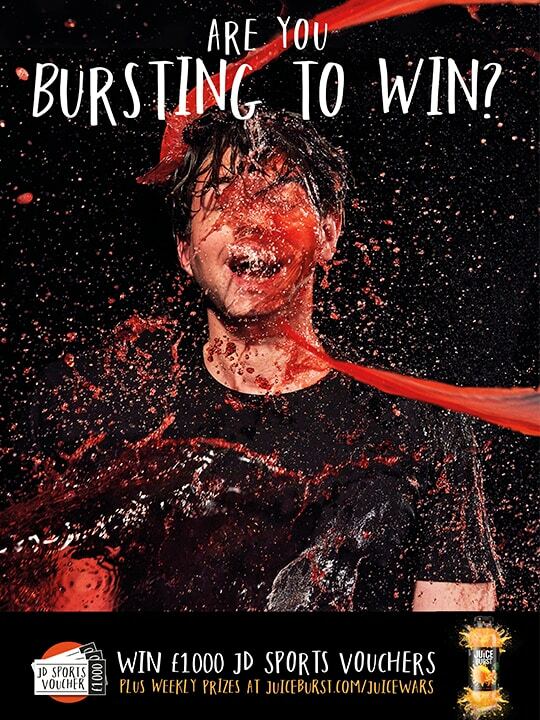 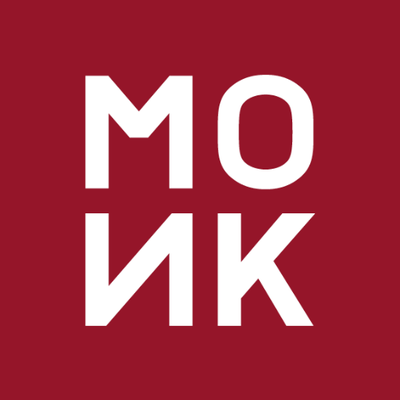 In the first week this campaign was seen by over 1.3 million people. 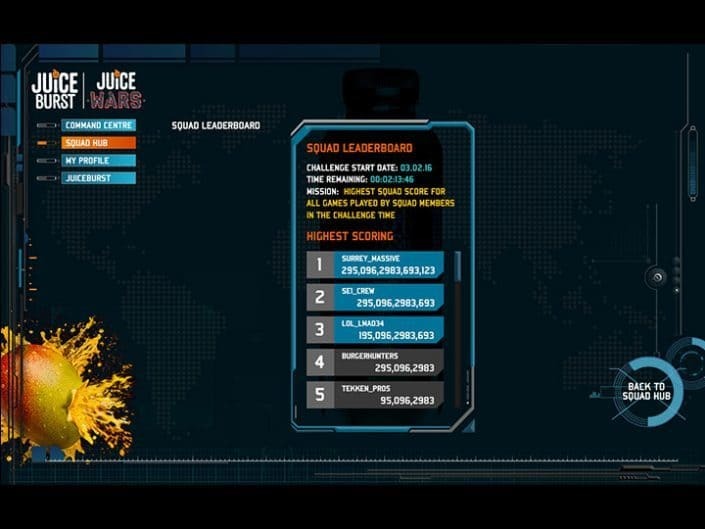 Once Blipp’d customers entered into a multi level game and were tasked with bursting as much fruit as possible to score more points, points that would see them win prizes. 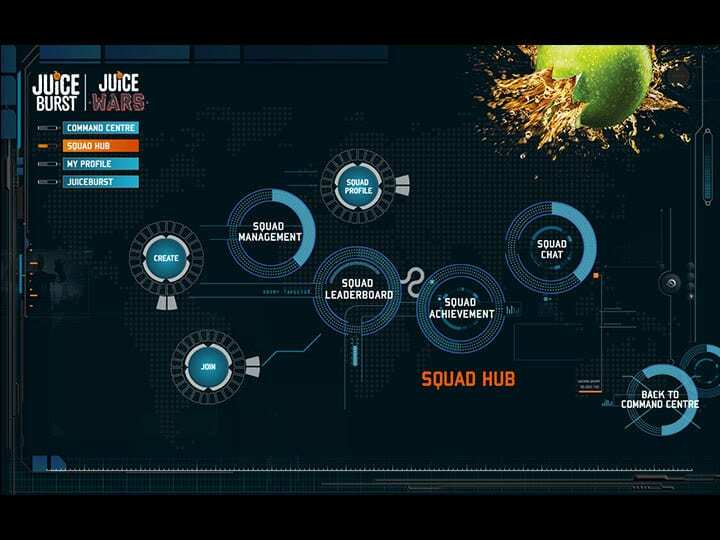 So as to immerse them into a truly shareable experience, players were supported with a Command Centre base for Tips & Tricks, Achievement Records and Mission Briefings, where they could also create their own Squads (inviting up to 30 friends) to go after bigger squad prizes. 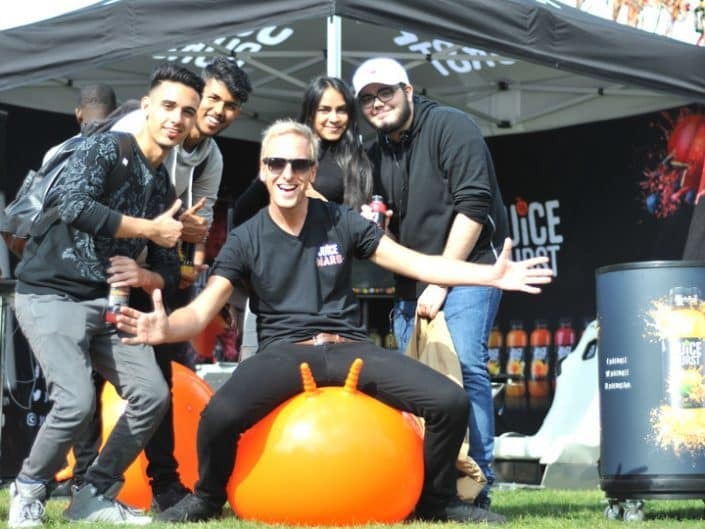 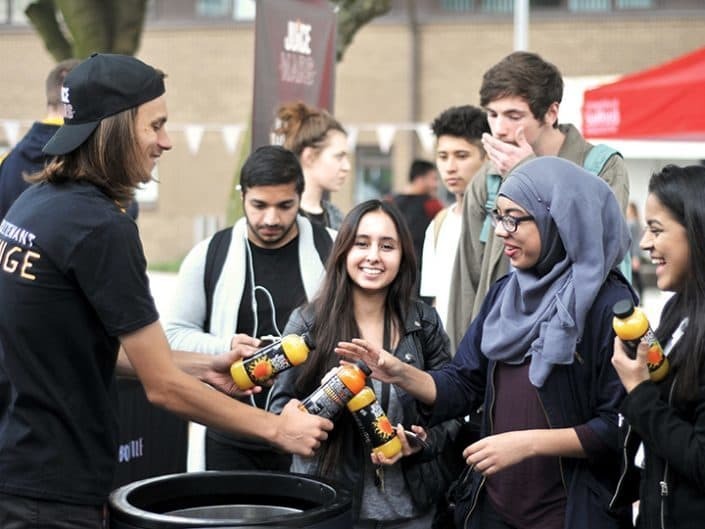 We even took the game to universities around the country – creating real brand engagement and giving those people who hadn’t yet tried JuiceBurst the opportunity to do so. 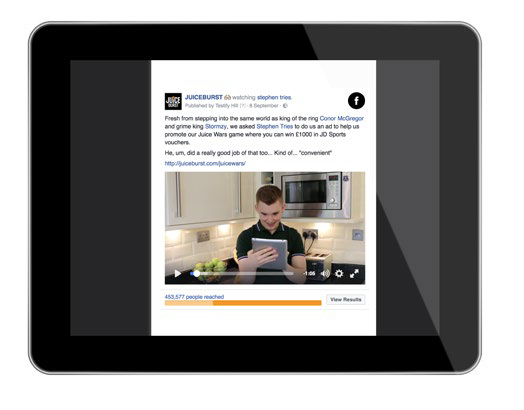 3% increase in awareness and 4% increase purchase intent.